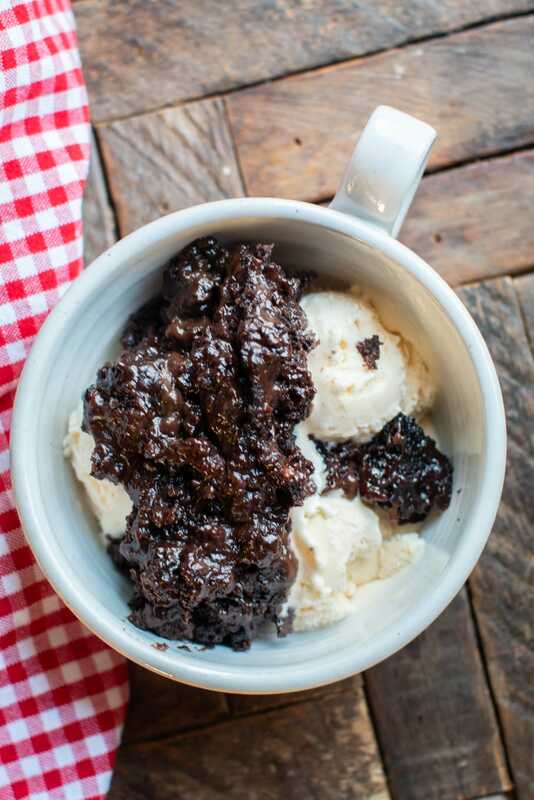 Slow Cooker Chocolate Lava Cake is the dessert of my dreams. 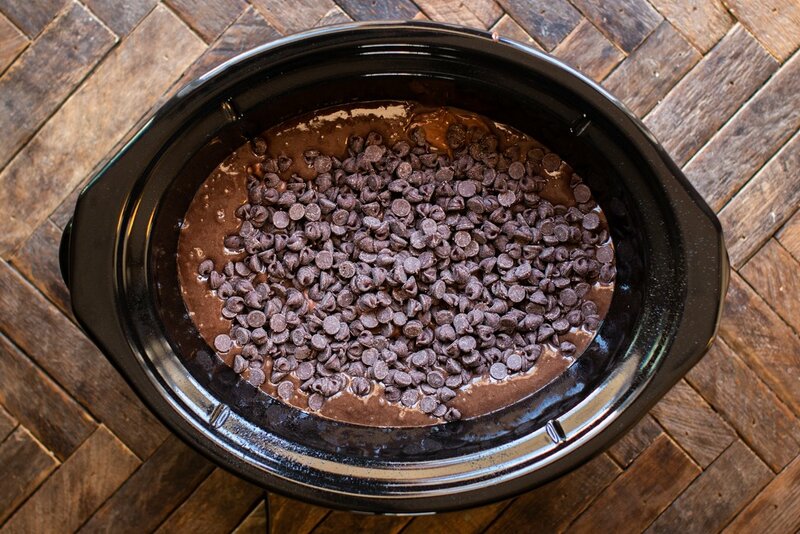 This dessert is made with 3 chocolaty layers. 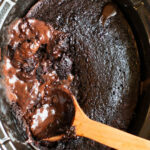 I started this blog 6 years ago and this is my first try at lava cake. Truthfully I was worried that it wouldn’t work out as expected and I would be mad, but it turned out perfect. 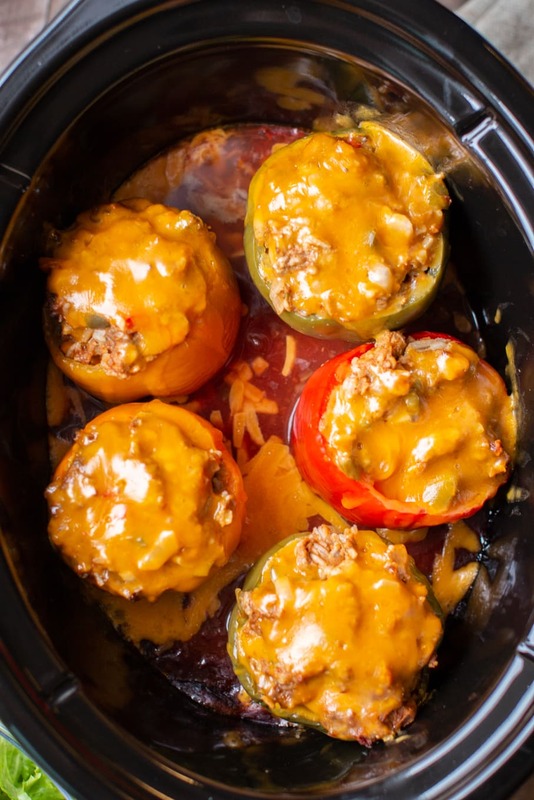 I am so happy to share this recipe with you. 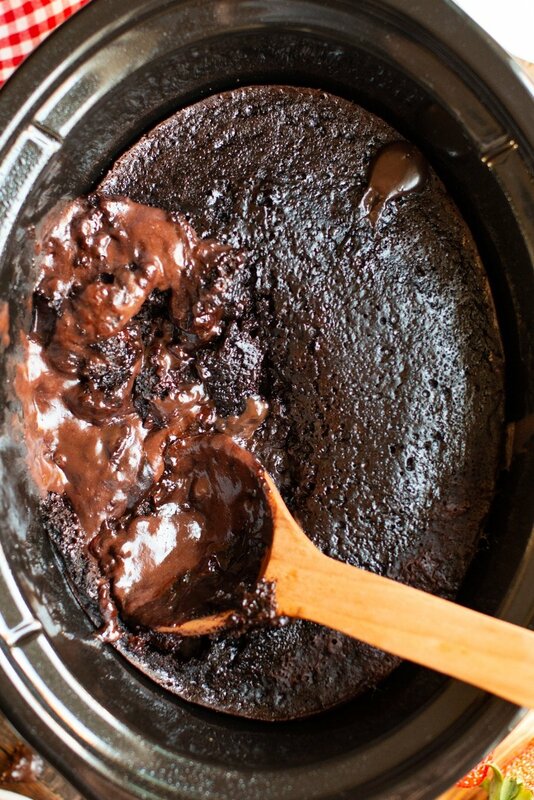 The cake cooks up around the edges and the center is just like hot chocolate lava. I use coffee in place of the water in the cake mix which made the chocolate look very dark, I loved the coffee in this cake! I already got the items to make this cake again! It’s that good. I hope you give it a try real soon. Have a great week. In a medium-sized bowl add the cake mix, eggs, and oil. Start blending with a hand mixer for a few seconds before adding the coffee. Slowly add the coffee and finish blending. Do not over blend, some lumps are fine. In another bowl mix the pudding mix and milk until combined. 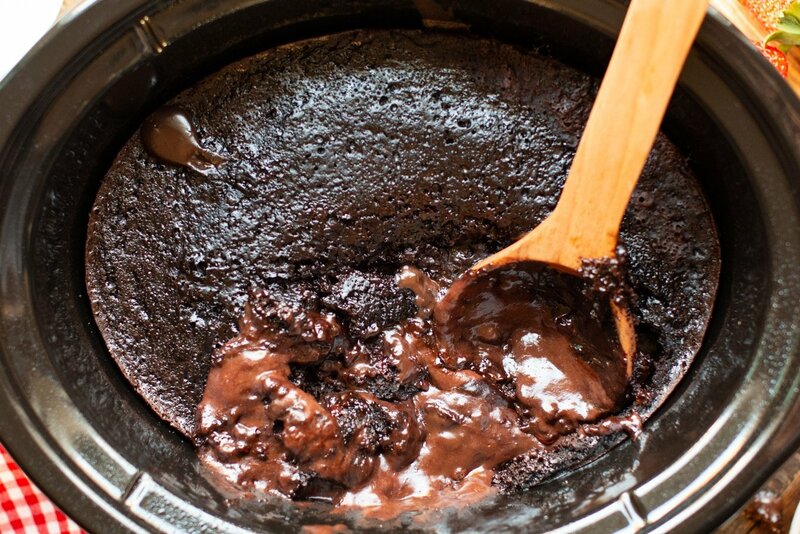 Let thicken for a few minutes. 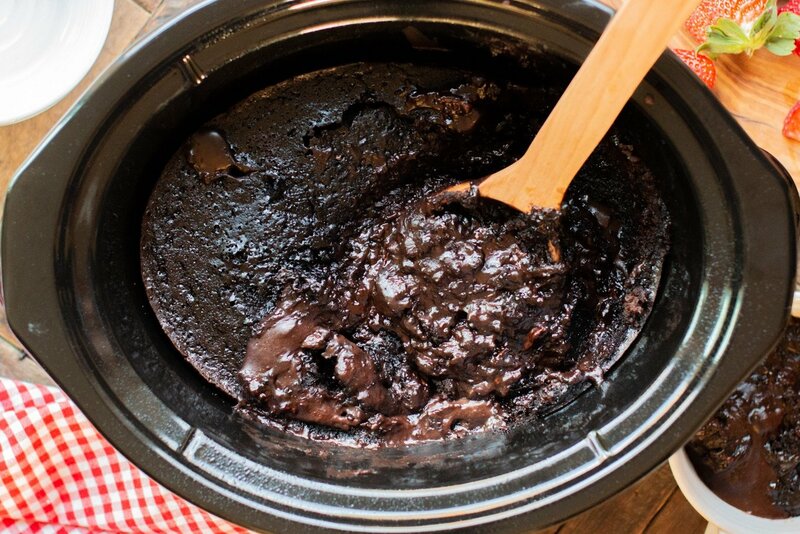 Spray the slow cooker with non-stick spray. Add the cake batter. 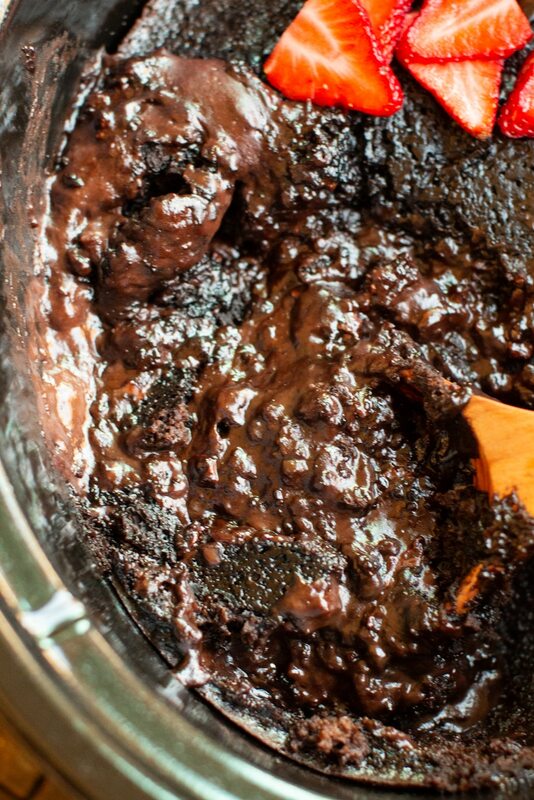 Then add the pudding by dropping dollops over the cake mix. 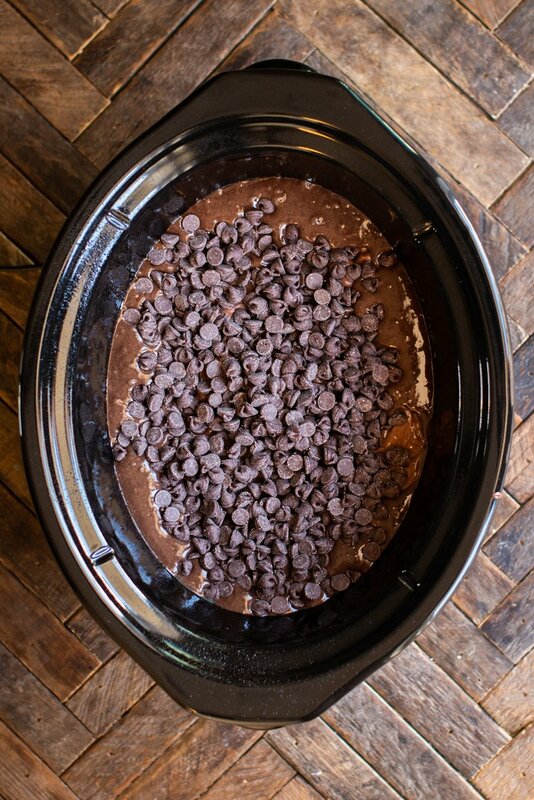 Spinkle over the chocolate chips. Nutritional Values are approximate. Please use your own calculations if you require a special diet. Values below are for 1/12 of the recipe. 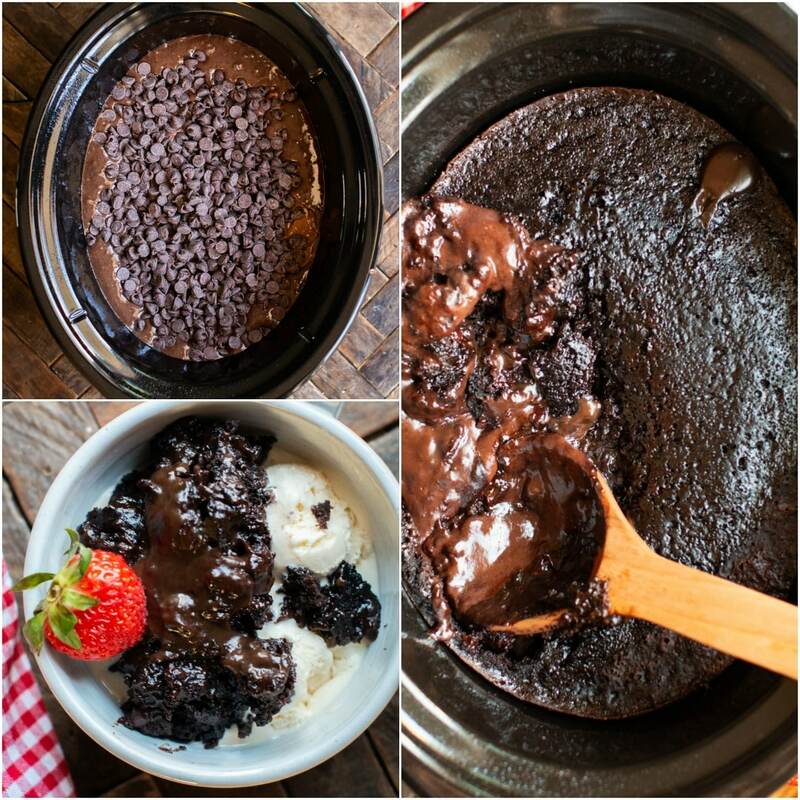 Do you use instant or cooked pudding mix? Thank you for pointing that out! Instant. I will add that to the recipe. This looks yummy! I am having a friend over for coffee and this would be a great addition. 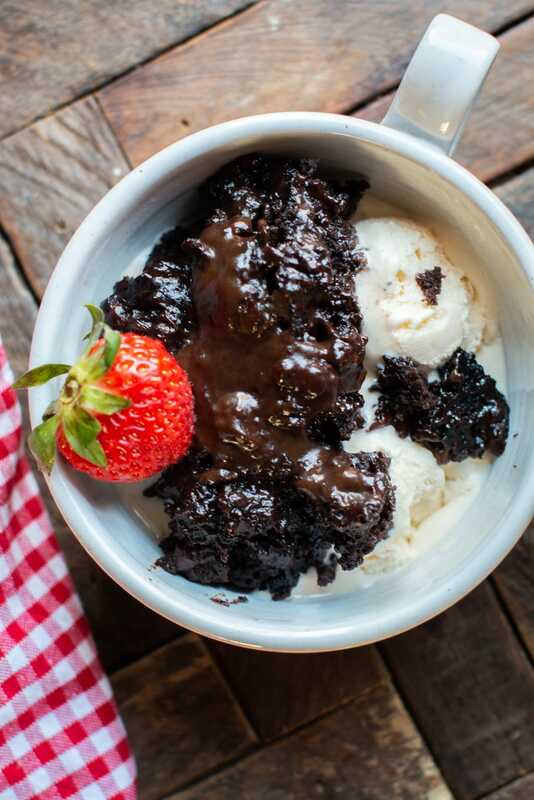 The same night I am having a couple over for dinner and dessert…how well will the lava cake hold up and still be yum? I am unable to eat milk or dark chocolate but can eat white chocolate. Could this recipe be adapted for use with white chocolate and how would you suggest it be done? Appreciate any help you can give. Thanks.